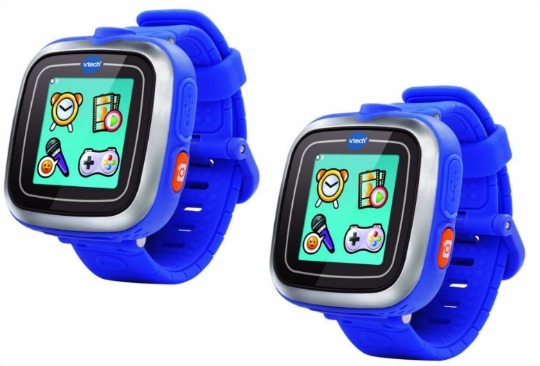 It's supposedly going to be one of the top sellers of Christmas 2015... the VTech Kidizoom Smart Watch Plus. It is priced at £30-£39.99 in most of the big retailers, so this is why we are super excited about the price of it at Amazon. If you are after one, then grab your debit card as this is the cheapest you will see these for this side of Christmas. Amazon have the blue one at just £19.99! Be quick, these will sell out. The VTech Kidizoom Smart Watch Plus boasts a built-in camera that's capable of taking pictures and video, around FIFTY different analogue and digital watch faces, an alarm, photo editing and a voice recorder, THREE games, a stop watch and a timer. It can store up to 800 photos. Now that is impressive. You can have the VTech Kidizoom Smart Watch Plus delivered for FREE if you have Amazon Prime or are spending £20 or more. That means you have to spend just 1p more to get that FREE delivery. Why not add something like this Double Caramel KitKat Chunky*?